As CEO of Fluid, Vanessa Cartwright is largely defining her role–the latest step in a career spent transitioning global companies from traditional marketing to digital. Under Cartwright’s leadership, Fluid has evolved from a core focus on e-commerce to a broader remit as a world-class customer experience and software company, winning global clients like Louis Vuitton, Citibank and Johnson & Johnson. 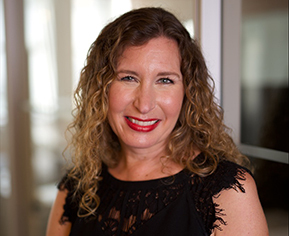 She has expanded the agency’s client base by breaking into new verticals including travel and hospitality, financial services and CPGs while maintaining an array of retail clients like HSN and Michael Kors. While running the agency she has simultaneously grown its customization platform, Configure, to include major brands like Ralph Lauren and M&Ms. She moved to the top spot after serving as Fluid’s chief client officer. During her tenure in that role, she made Fluid the first company to launch an AI-driven Conversational Commerce solution, in partnership with with IBM Watson. Her first role at the company began in 2012, as the Managing Director of Fluid’s then-temporary New York office. Cartwright began her career in publishing before moving to RAPP in London, where she led Oxfam, Imperial Cancer Research Fund, Scope and The Blue Cross accounts. She went on to RMG Connect, eventually becoming Managing Director of its Canadian offices, where she led the transition of the agency from a predominately offline to an online service offering. Next, she moved to WPP company Blast Radius, as SVP of Senior Client Partner & General Manager. There, she partnered with the EVP Global Client Development to win 75 percent of new business pitches and grow the company fourfold. She managed the impact of Blast Radius’ acquisition by WPP in 2008 as GM for their NY operation, and prior to that oversaw the integration of Go Direct Marketing into WPP/RMG Connect after a 2001 acquisition by J. Walter Thompson, building out a complete digital offering as the MD for RMG Connect Canada. Leading two agencies through acquisitions and transformation, Cartwright became a pro at bringing agencies into the future with strategic business acumen. Outside her agency capacity, Cartwright has acted as advisor to Cindy Gallop for MakeLoveNotPorn. An avid traveler who has moved from her native London to Vancouver and now New York, Cartwright is finalizing her American citizenship—she is keen to become more involved in politics.